Ward and Rosie Burroughs and their children have several farms just outside Denair in the California Central Valley. Their farms have been in the family for generations and have led to the creation of new farming enterprises. 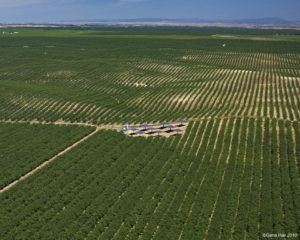 The Burroughs own and operate California Cloverleaf Farms, Vista Almonds, B and B Pastures and Full Circle Dairy. They produce all organic cheese, milk, almonds, free-range eggs and, their most recent venture, olives. With the next generation always in mind, environmental stewardship has been a high priority of the Burroughs family. 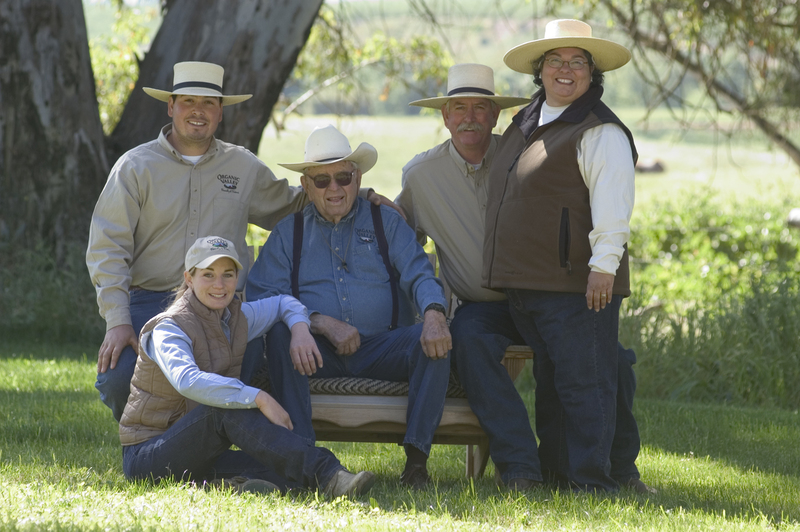 Whether it is their rotational grazing system, organic production methods or other various sustainable farming practices, the family is a great example of a successful farming operation practicing environmental stewardship. The Burroughs family farms began their transition into organic production a decade ago, and are now certified organic. Along with other improvements, this has required an initial financial investment. However, according to the Burroughses, they have found that these changes have meant less risk over time. Considering the unstable market and climate, grazing practices help the operation by reducing costs of feed. The dairies are members of the Organic Valley cooperative, which provides additional security. Unlike conventional, confined dairy operations which use mostly grain feed, the Burroughs cattle graze on grass, getting 80 percent of their nutrition from forage. They use a Managed Intensive Grazing (MIG) method which rotates the cattle between small, irrigated pastures for short periods, allowing for good nutrition and a recovery period for the grasses. Grazing cattle also deposit manure on the fields, improving soil nutrients and structure and feeding microorganisms. Additionally, this practice greatly reduces greenhouse gas (GHG) emissions, like methane, which is a potent GHG that has twenty times the climate change impact of carbon dioxide. The fields use no synthetic pesticides, fertilizers or herbicides. The Burroughs family use compost on their fields to increase soil nutrients and organic matter. The compost is created from imported manure from neighboring farms and garlic and onion peelings from a local processing facility, which the family mixes with almond orchard green waste and paper products. 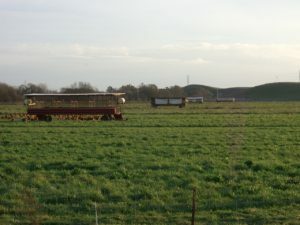 Their pastures have French drains, which are gravel-filled ditches that criss cross their property, to eliminate run off and channel excess water into holding ponds. The French drains eliminate pooling on their fields which improve pasture health. The holding ponds also act as a habitat for birds, the variety of which seems to grow with every year. Birds on their farm, attracted to the owl boxes they have installed, provide pest management by catching gophers. The family has installed solar panels that provide 80 percent of the irrigation pumping energy for their almonds, and two of the dairies are following suit by also installing solar panels. Their water monitoring system and weather monitoring systems have increased their irrigation efficiency, reducing water use and cost. Committed to increasing the sustainability of their operation and recognizing that there is always more to learn, Rosie and Ward regularly attend conferences and workshops. They have also been working with a biologist to catalog the different types of native grasses and plants growing on their property. Through this work, they have found that their grazing practices have been beneficial to the native plant species. The family feels fortunate for having a successful operation and wants to share their experiences with the community. They have had the opportunity to present at the EcoFarm Conference and MOSES Organic Farming Conference. 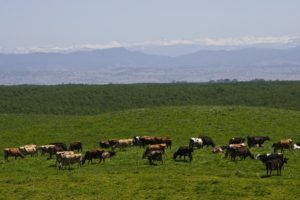 They regularly host farm tours, including international students from as far as Japan, Brazil and New Zealand, and even started a support group for ranchers with grazing operations.